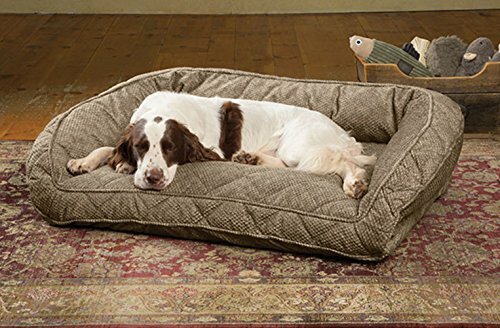 Underneath the plush microfiber quilted cover is a 3 1/2 “-thick therapeutic memory foam cushion designed and calibrated specifically for a dog’s body shape and weight distribution. 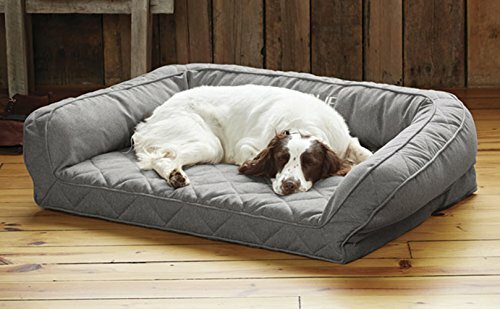 Our open-cell memory foam conforms to your dog’s body and supports muscles, relieves pressure on joints, and improves circulation. 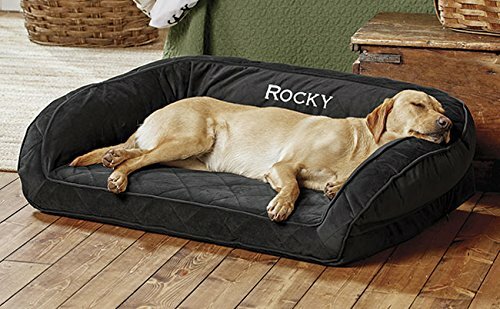 The streamlined, plush bolster is filled with springy spun polyester, and provides your dog with a comfortable place to lean into (increasing their sense of safety and security. 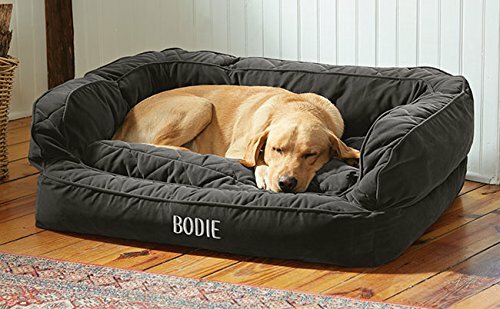 A hypoallergenic, water-resistant liner keeps the CertiPUR-US-certified foam clean and dry. 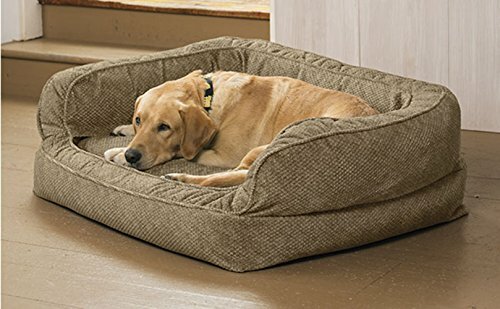 Polyester cover is removable and washable. Allow 2 extra days for delivery. Imported.